Prime Minister Narendra Modi, while calling technology as simple and a brilliant way to serve people, he declared that India is yearning for a digital revolution and m-governance is about governance in every hand. "Technology empowers the less empowered. If there is a strong force that brings a change in the lives of those on the margins it is technology," he said, while sharing his thoughts during the Digital Dialogue with tech enthusiasts. On Saturday, Modi had tweeted that he would be having a Digital Dialogue with tech enthusiasts. The response to his tweets has been phenomenal. "The entire nation has joined hands to make the dream of a 'Digital India' into a reality. Youngsters are enthusiastic, industry is supportive and the government is proactive. India is yearning for a digital revolution," he said. "The investment committed by industry towards a Digital India indicates their optimism and the positive effects will be felt for generations. Most notably, several job opportunities will be created for our people. 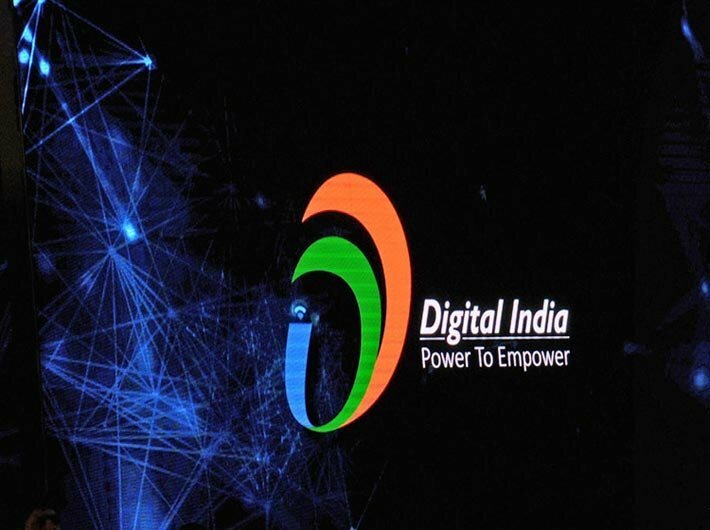 When the Digital India initiative was launched, the fervour was unimaginable and unprecedented. Never before has something been planned at such a large scale. I want to add that this dream will be fulfilled not by the Central Government or the private sector alone. Everybody has to come together and is working towards a digital India," he said. "It combines 3Ss- speed, simplicity and service. Technology is fast, technology is simple and technology is a brilliant way to serve people. It is also a great teacher. The more we learn about technology and the more we learn through technology, the better it is," he said about the virtues of the technology. About his experience, the prime minister said "I am a curious mind when it comes to anything that facilitates public good and so, I try to learn more and more about how technology can ensure public good. I keep thinking about it and try to know as much more as possible. Like any common person, I scan my mails and try to be as regular in correspondence." "Technology makes access to information a lot faster. I am able to access news on the go. I may be travelling in the hills, in the Northeast of in interior Chhattisgarh but thanks to technology I am abreast with what is happening," he said as he shared his tech secrets. On the solution to digital illiteracy, Modi said that the larger point lies in encouraging people to use technology. "In some cases the problem is access. In some cases it is lack of adequate guidance. In some cases it may even be offering the technology the person needs. We are attending to all these challenges. Once we increase access to technology, the challenge of digital literacy will be mitigated," he said. Modi also declared that "the future belongs to social media. It is egalitarian and inclusive. Social media is not about any country, any language, any colour, any community but it is about human values and that is the underlying link binding humanity." Citing the success of the recent #SelfieWithDaughter trend, the prime minister said that it was connected humans for an extremely important cause. "A great example is the recent #SelfieWithDaughter trend. Through social media I read about this initiative in a district in Haryana and I thought I must talk about it during my 'Mann Ki Baat' and ask parents to share selfies with their daughters on social media. The rest is history," he said. "Worldwide and in India this became a trend. People from Africa, Europe, the Americas, South Asian neighbours shared selfies taken with their daughters. When people were sharing selfies, they were not responding to the call of a Prime Minister, it was connected humans for a cause that is important for all of us and has resonance across the globe," he added. He also stressed on the need for m-governance, saying that it had the potential to make development a truly inclusive and comprehensive mass movement. "M-governance is empowered governance. It has the potential to make development a truly inclusive and comprehensive mass movement. It puts governance into everyone's reach. It puts governance in your hands 24/7," said Modi. "Start-ups are the engines of exponential growth, manifesting the power of innovation. Several big companies today are start-ups of yesterday. We want India to emerge as the innovation hub where the next big ideas emerge, driven by the power of technology," he said. "I feel our emphasis on mobile governance will be a game changer as far as increasing technology penetration is concerned. A mobile is something every Indian dreams of having and is something every Indian even ends up having. We must make full use of this," he told the tech community.